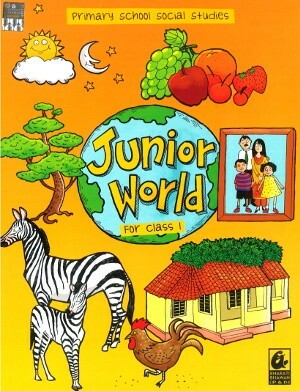 Junior World Primary School Social Studies For Class 1 - This is a part of series of social studies books for primary-school students. The content has been graded carefully, keeping in mind the level of comprehension and the language skills of the students. Inculcating values, mostly raising questions, giving examples and encouraging discussion, and sometimes by suggesting positive action.